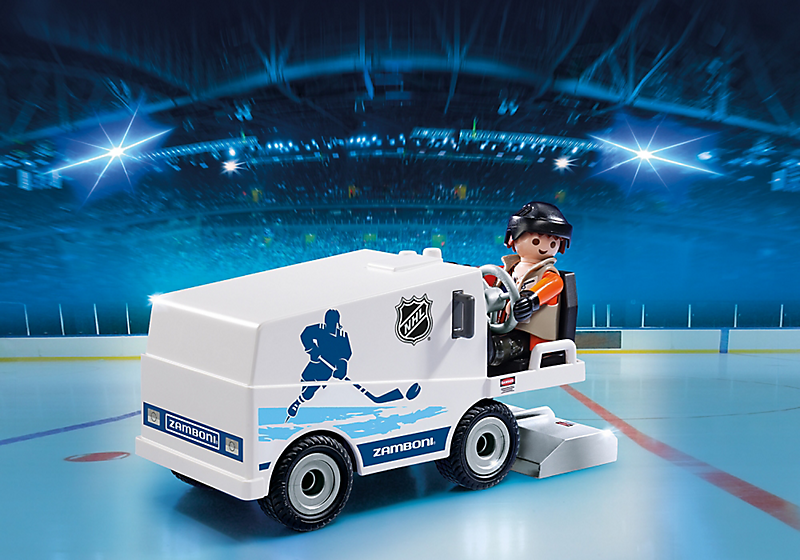 It's the end of the first period and the ice needs to be cleaned up! 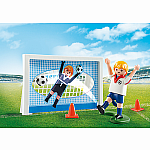 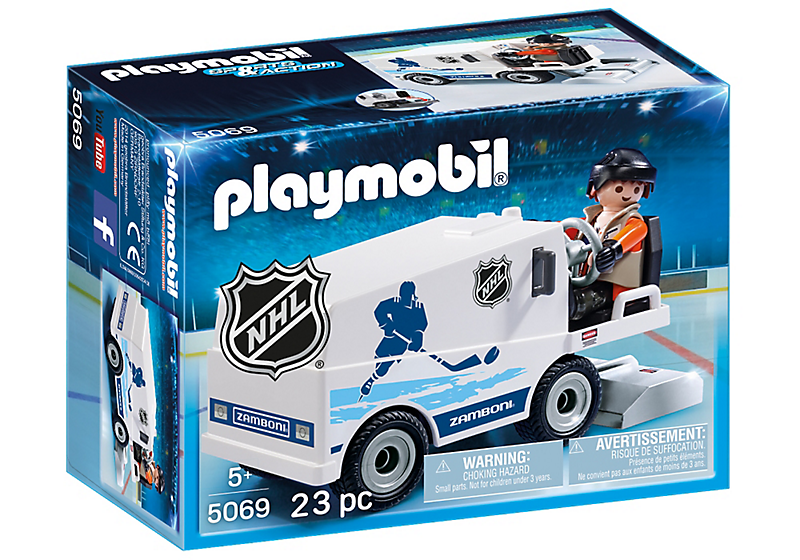 Sounds like a job for the Playmobil Zamboni! Resurface the ice and make sure the players can skate freely. 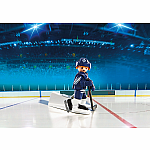 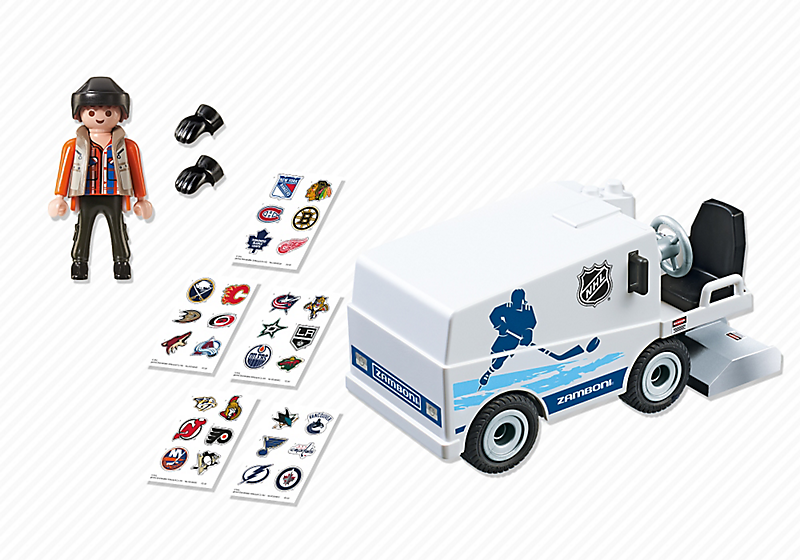 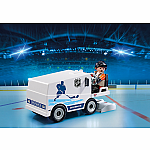 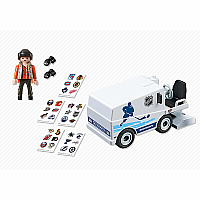 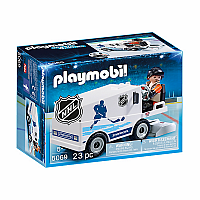 Set comes with 1 Zamboni, NHL Team Logo sticker sheet and 1 Playmobil Figure.